Essentially my website is here to tell you all about air compressors however, I thought it would be useful to do some short reviews on the most popular power tools which take advantage of compressed air. Naturally, I decided to go with impact wrenches. No matter how strong or experienced you are, sooner or later you are bound to come across that bolt which just won’t give in. Picking out the best impact wrench wasn’t easy, but when I came across the Ingersoll-Rand 2135TiMAX 1/2-Inch Air Impact Wrench, there was no doubt I had found the best 1/2 inch impact wrench you can buy. This particular model allows for an unparalleled level of power, flexibility, control, and is capable of meeting the high demands of a wide spectrum of jobs from house repairs to car maintenance. The wrench is very light, weighing only 4lbs but despite that it has loads of power (750ft./lbs. of reverse torque to be exact). This also makes it the best in its class in power-to-weight ratio. Because the unit is so light and powerful, you have to be able to control it properly in order to get the best from it. Oh, and you definitely need to make sure you’re using it safely as well. Luckily, thanks to the four-position power regulator button, light trigger, and a one handed push button you have everything under control right beneath your fingertips. This impact wrench will last you a long time seeing as the body is made out of titanium which is not only light, but one of the most durable substances known to man. Despite all that power and the unit’s heavy-duty design, the manufacturer has somehow managed to make this impact wrench quiet which is downright impressive! Now for my favorite category, the best value power tool. 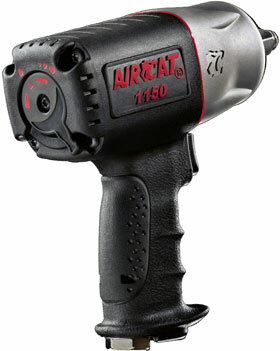 In this case, it’s the AIRCAT 1150 Killer Torque 1/2-Inch Impact Wrench. It would be an understatement to say this model offers a lot of bang for your buck. 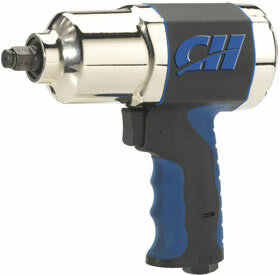 In fact, it is hands down the most powerful impact wrench you can buy, delivering 1,295 ft./lbs. of loosening/tightening force. Just take a moment to wrap your head around that figure because it took me a while! Impact wrenches are impressively powerful devices so they are sort of bound to be noisy, but this one breaks the rules on that too. Thanks to the manufacturer’s own exhaust technology, this unit is no louder than 86db which is really impressive. That is far less than some of the models out there. In fact, it is one of the quietest when compared to its competitors. It is apparent that AIRCAT put a lot of thought into the design of this impact wrench which is not only evident by the unit’s body, but its ergonomic handle as well. Thanks to the generous use of lightweight materials, this impact wrench weighs only 4lbs which makes it highly portable and easy to handle. In addition to all these impressive numbers and specs, you also get a 2-year parts and labor warranty. The most impressive fact about this tool is it offers top-notch power and all the features you would ever want, yet that is isn’t reflected in the price. Working with a tight budget doesn’t necessarily mean subpar power tools and a shoddy final product. I did have to do some serious digging, but I was able to find an impact wrench which will perform every task you set before it, and go easy on your wallet at the same time which is rare nowadays. The budget wrench in question is the Campbell Hausfeld TL140200AV 1/2-Inch Impact Wrench. Frequent car repairs, rusty bolts which are stuck along with similar tasks are something this unit excels at time after time. This model has some decent power tucked underneath its casing as well, featuring a motor with a maximum speed of 8500 RPM, and 450 ft./lbs. of torque which is more than enough for your usual car repairs. The whole thing doesn’t weigh much,(a little over 5lbs to be exact) which makes it easy to handle. There is nothing worse than a high-powered impact wrench you can’t control. Luckily, this one is a joy to use. Thanks to its ergonomic design and a soft grip handle, you will hardly feel any fatigue or stress in your arms even after prolonged use. The centerpiece of this power tool is of course, its price which makes it cheap as chips (so to speak). When compared to other models on the market, it is far cheaper yet it’s no slouch when it comes to performance. Everyone should have one of these in their home or workshop. 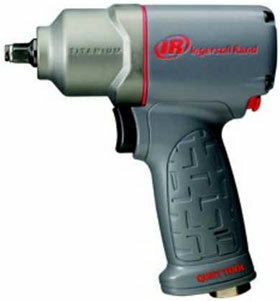 My pick for the best 3/8 inch impact wrench is the Ingersoll Rand 2115TiMAX 3/8-Inch Impactool. This capable little wrench is good for car maintenance and repairs. Thanks to its truly miniature stature seeing as it is only 6 inches long and weighs a little less than 2.5lbs, this impact wrench is really convenient because it can be used in tight spaces. However, it is capable of delivering some serious power even though it’s small enough to fit inside your pocket. If you still don’t believe me, let’s take a look at some of the numbers. It has the best in class power-to-weight ratio. To put that in perspective, you get 25-230 ft./lbs. of forward torque, and 300 ft./lbs. of reverse torque which is simply staggering. The maximum speed of the motor is 15,000 RPM and 1,500 blows per minute. The manufacturer has worked on their original design of the twin-hammer mechanism, and they’ve now made it even better. The casing is made out of titanium which (as you more than likely know) is incredibly light and strong. This tool also comes with a four-position power dial which allows you to calibrate the unit so it delivers just the right amount of power without going overboard. If a 3/8 inch impact wrench is what you’re after, you won’t go far wrong by taking a look at this one. Picking out the most expensive power tool is easy, but finding one that has the biggest number of features within a certain price range is a lost art of sorts. I set aside some time and decided to challenge myself and find the best value 3/8″ impact wrench. 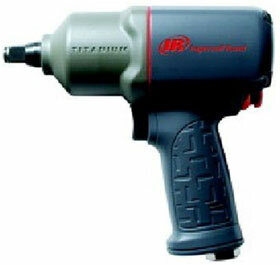 What I came up with is the Ingersoll Rand 7807R 3/8 Standard Duty Air Angle Reversible Drill. These impact wrenches are mainly used when you need a power tool small enough to do a specialist job. Even though it’s small, it’s more than capable of drilling through metal, wood and various composite materials. Let’s take a look at some of the features. It has a sturdy Jacobs multi-craft chuck, and a grease plug which allows for easy maintenance. 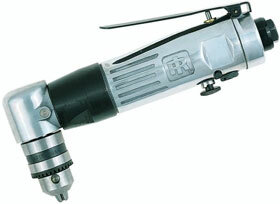 The maximum speed of the unit is 1800 RPM, and the motor that is at the core of this impact wrench produces 0.33hp. Measuring only 8 inches in length, and weighing just less than 2.5lbs it is one of the smallest and lightest impact wrenches I have come across. On top of all this, it is very affordable which should be more than enough to earn it a recommendation.